Give your guests the option to make their reservation directly to your hotel. Increase your revenue by reducing OTA’s commissions and offering additional services before arrival in the simplest and most direct way. 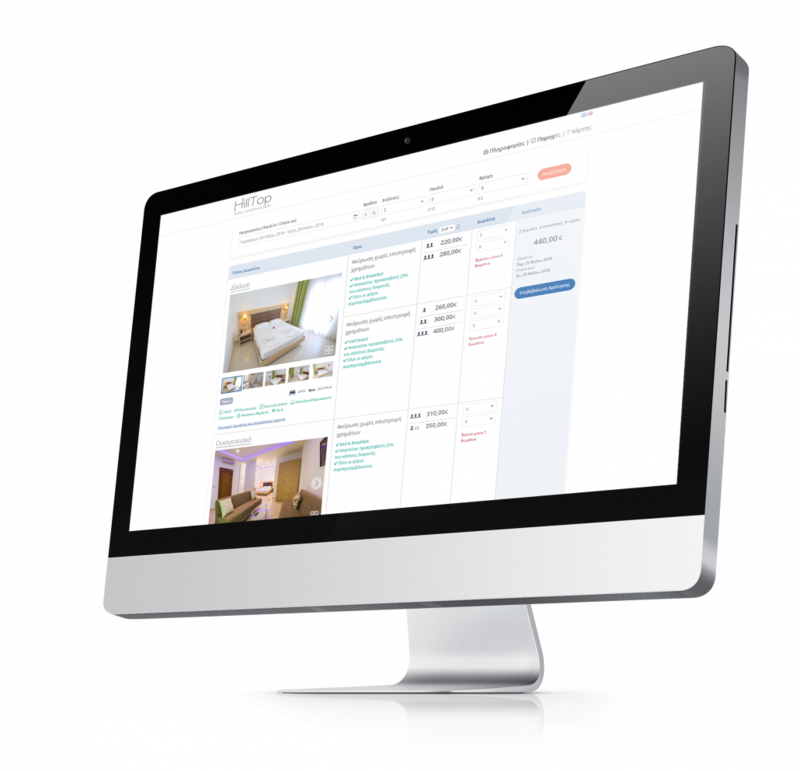 The modern and functional design of the booking engine, effectively projects the hotel’s rooms. 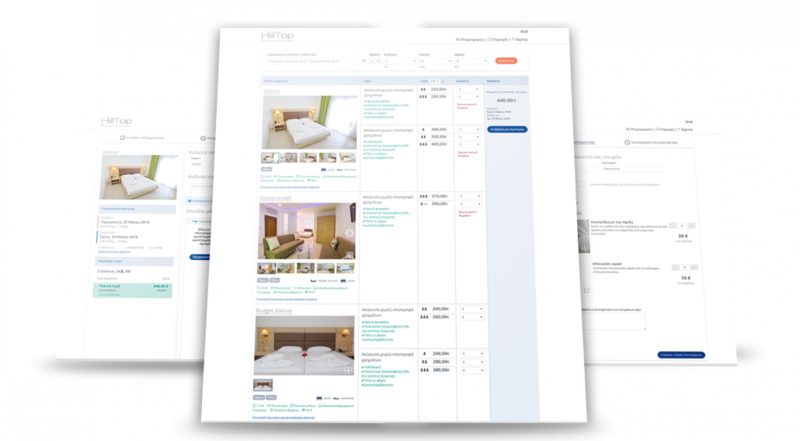 Multiple choice of different types of rooms is supported in the same booking. The visitor can see the benefits and photos of each room in detail without being transferred to a new page. Dynamic room pricing. During booking, guests only fill in the necessary details and do not spend time filling in unnecessary fields that discourage the completion of the process. The room plan in the hotel management system is automatically updated for online bookings. Secure encryption. Guests are offered additional services to purchase before arriving. 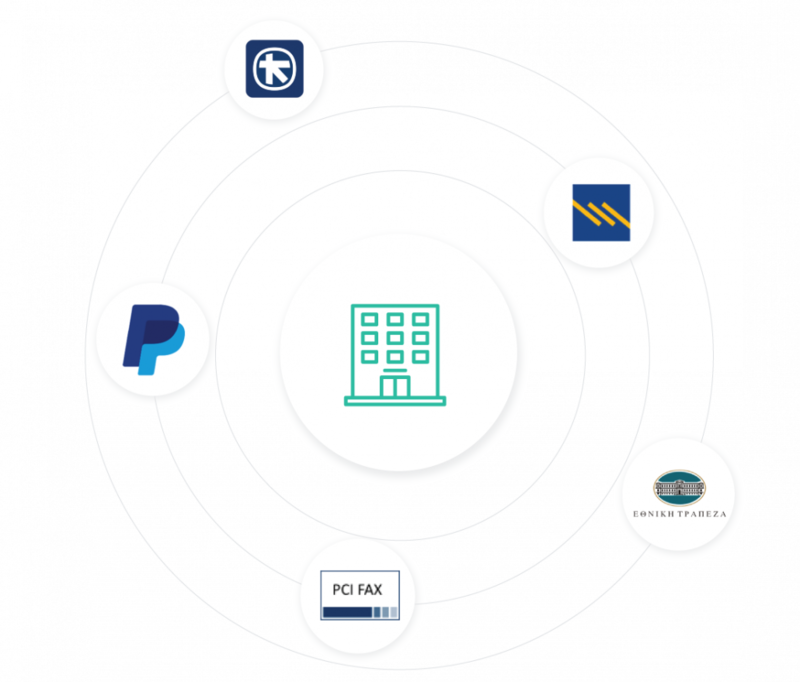 Online payments are supported by all major banking institutions via e-commerce, as well as by alternative online payment providers such as paypal, vivawallet, etc. The responsibility for security of transactions is maintained by providers, offering high-standard encryption systems, while the hotel directly receives payments into its bank account. 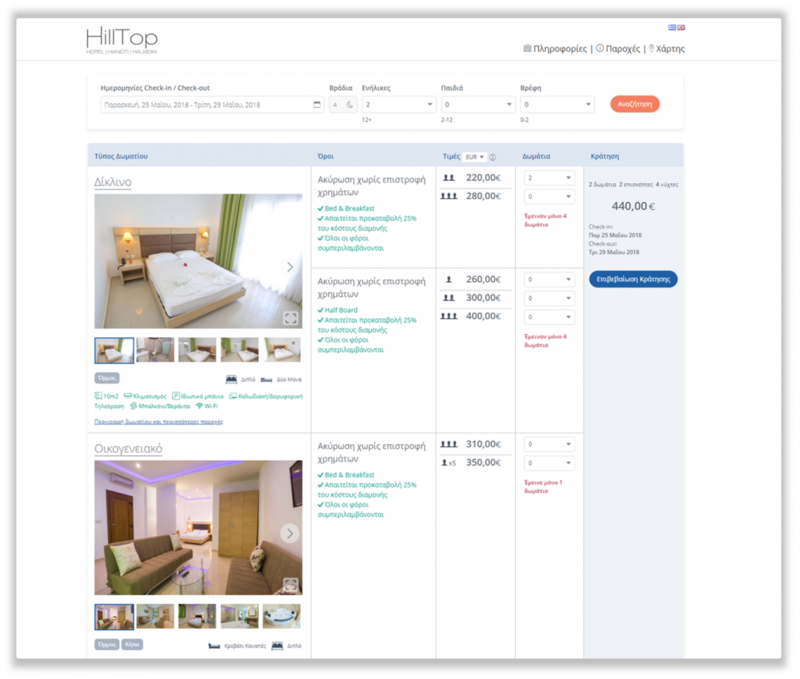 The price comparison is displayed on the hotel’s website and displays to the visitor the price he can have booking directly at the hotel and the prices associated with the OTA’s. 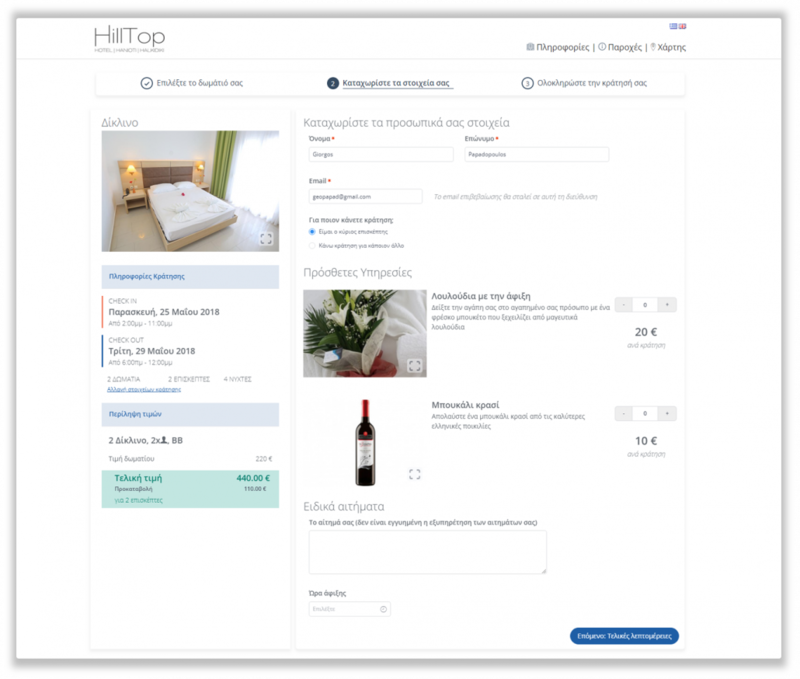 It is most likely that if prospective guests locate the hotel via an OTA, then visit the hotel’s website in order to get more information or to communicate directly with the best price incentive. 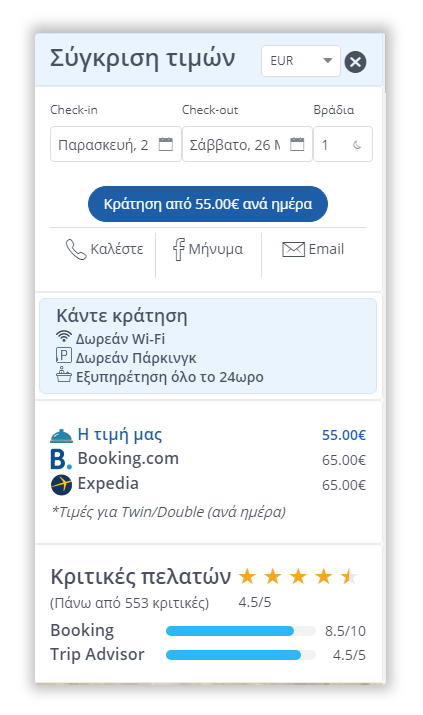 Price comparison gives directly and in a structured way the information the visitor seeks about its charges and rating and is transferred directly to the booking engine.